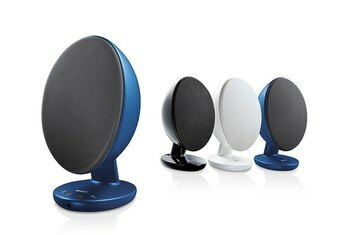 The Aura speaker delivers powerful, room-filling sound. 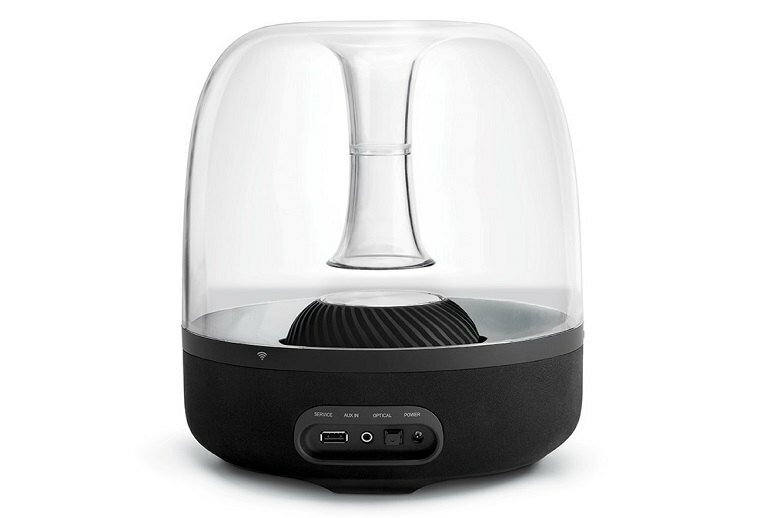 The Aura's classy look makes it a speaker you'll want to display. The onboard controls are difficult to see. There is no bass control on the device itself. 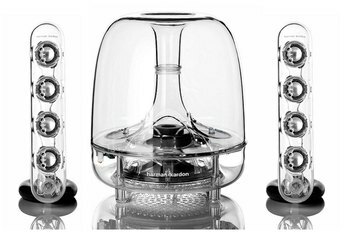 Harman Kardon’s Aura boasts an artful design reminiscent of the company’s Soundsticks III speakers, only this time all the drivers are housed in a single unit. 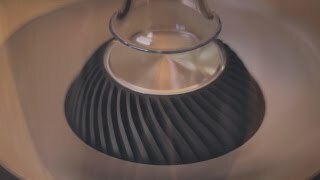 The Aura has a small footprint--10.8-inches tall and 8.2-inches in diameter. Within that small frame, it houses six mid- to high-range 1.5-inch drivers and a 4.5-inch subwoofer. 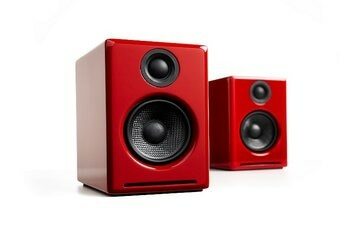 The unit is powered by 30 watts with 15 watts going to the subwoofer and the other 15 watts split among the six drivers. 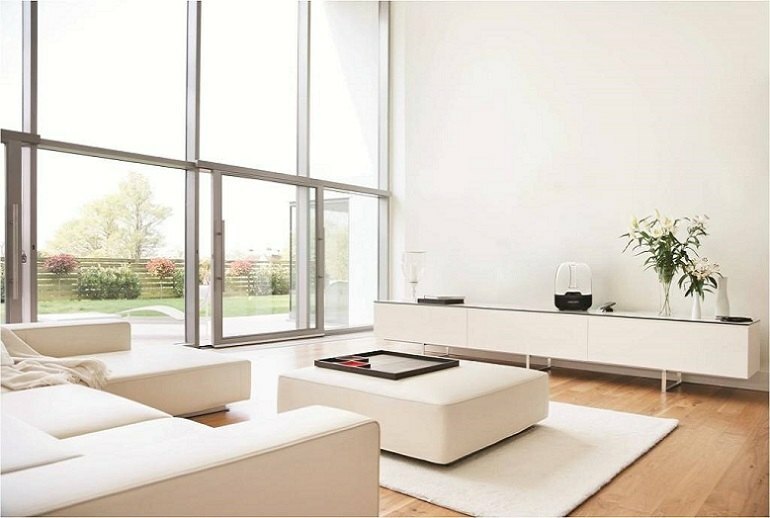 The Aura employs stereo-widening DSP technology for large, room-filling sound. 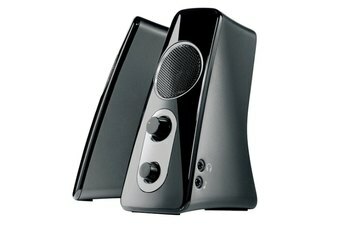 The Aura supports wireless connectivity via Bluetooth and Wi-Fi. The Aura also features optical and 3.5 mm connections and a USB port for firmware updates. 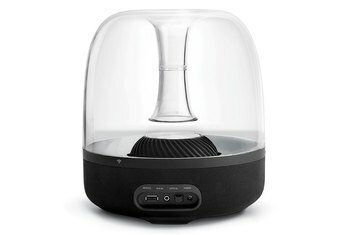 The Harman Kardon Aura combines a very attractive, unique look with excellent performance and a plethora of connection options. 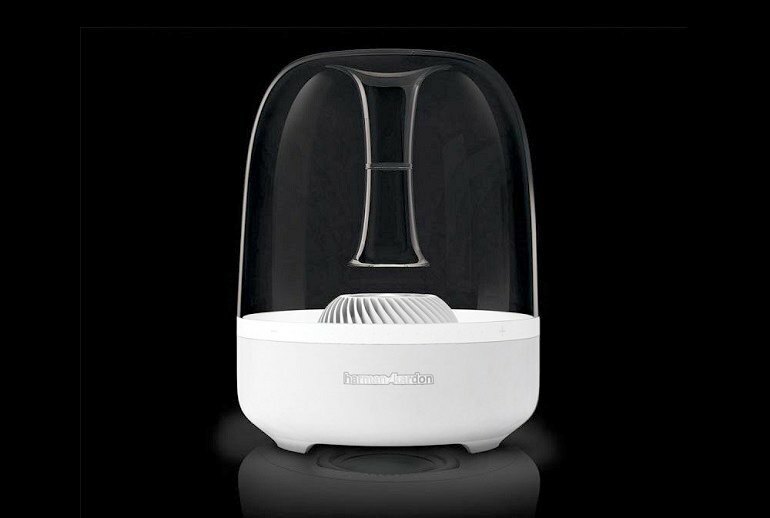 The Harman Kardon Aura is an immensely capable wireless home speaker, whatever genre you throw at it. 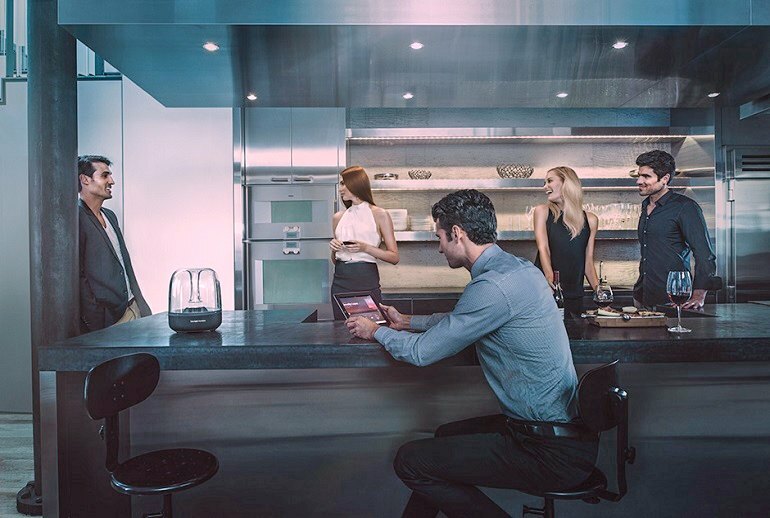 Space-age looks make for equally epic sound, and the Harman Kardon Aura delivers on both fronts, making it a very attractive speaker system for your home. If you’re only looking for background entertainment, it will deliver. But it needs more clarity, with rivals topping the leader board within this price point doing more – and doing it better. It mostly shined during heavy bass-driven music. Overall, its sound quality isn't as impressive as its physical appearance. 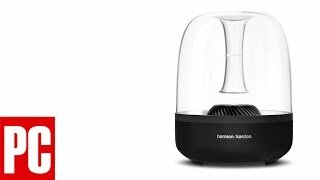 Unfortunately, the expensive Harman Kardon Aura just couldn't evoke any emotion within us.